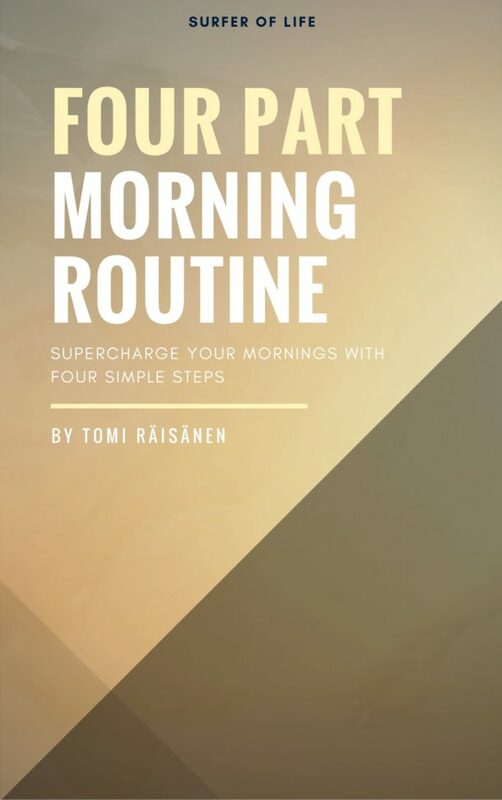 Supercharge your mornings with my Four Part Morning Routine guide. Get it FOR FREE HERE! Join Surfer of Life Tribe to get my guide for free! You will also receive relevant tips and tricks to take your game to a whole new level in 2018.